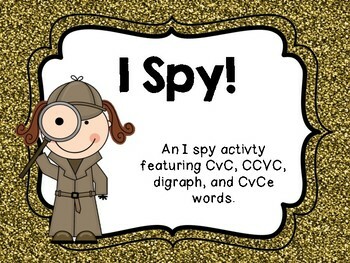 This I Spy literacy center pack includes four I Spy style centers for CvC, CCvC, CvCe, and digraph words. 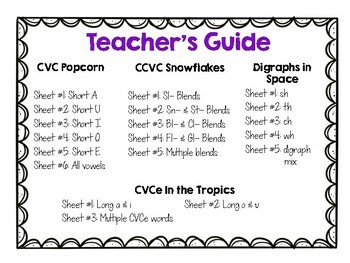 Each have multiple versions, to keep your kids engaged, and a recording sheet. 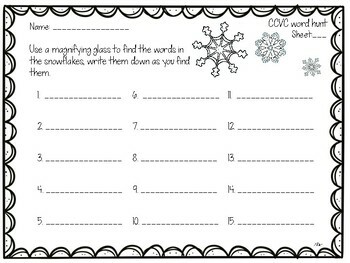 These centers are also low prep, just print, find a magnifying glass, and go! 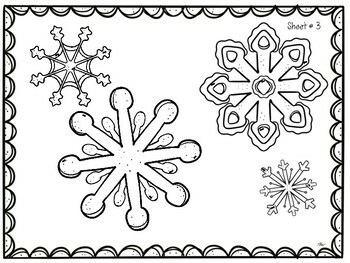 These are also printer friendly in black and white, simply have your students add color when they're finished!